Beautiful pond site in Harbor Club. Enjoy tranquil view from your rear deck or terrace level patio of this gorgeous pond that is surrounded by a sidewalk, fishing pier and fountain. Carnoustie is a street of very nice homes with recent sales in the 600's. 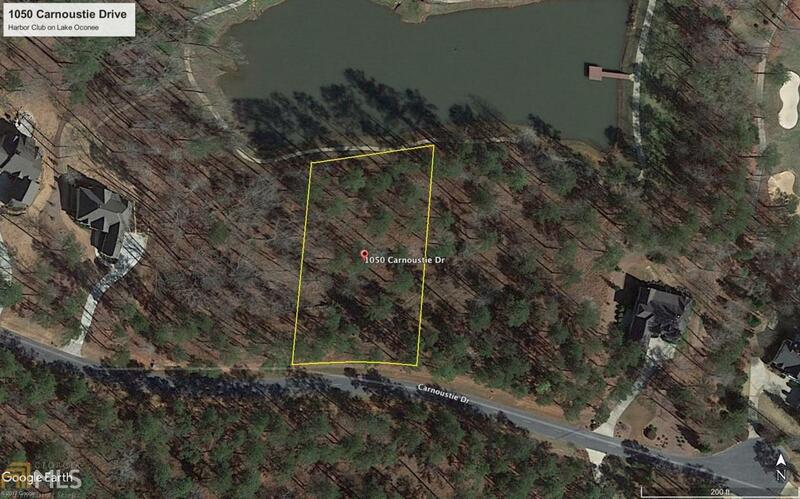 This site is nearly an acre and features beautiful hardwoods and plenty of privacy. Enjoy membership incentives with this developer owned property. Harbor Club is Lake Oconee's golf/lake/tennis/swim tru neighborhood where most owners live full time. All sites are lake access via Harbor Club's Boathouse Marina and dry dock facility. Golf Magazine ranks the Morrish-Weiskopf course the 4th best place you can play in Georgia. Come see for yourself!